Successfully Added Lingwin N2 Cell Phone - Dual-IMEI, Dust Proof, Shock Proof, Flash Light, FM Radio, Bluetooth, Camera (Gold) to your Shopping Cart. The Lingwin N2 cell phone is a great backup phone for people that wish to stay connected when they head out into the wild. This regular GSM mobile phone features a tough design. This makes it resistant to drops and dust. Therefore, you won’t have to worry about accidentally breaking it while conquering the wilds. It furthermore comes with a 2.4-Inch display and a regular keypad that features large keys. This allows you to easily navigate through your phone’s features even whilst wearing gloves. Thanks to this, the phone is great to be used in any environment and weather condition. With a massive 3100mAh battery, this outdoor phone treats you to 16 hours of continuous talk time. This means that you’ll be able to spend several days outside without ever needing to worry about running out of juice. The battery can even be used as a power bank to charge other electronics. It furthermore comes with a bright flashlight that brings along great convenience. From now on, you’ll always have a source of light at your disposal. Your GSM phone comes with Dual-IMEI numbers to make sure you’ll always stay connected as well as Bluetooth support and a 0.3mp camera. The latter lets you shoot nice pictures and video of all your upcoming outdoor adventures. With 32GB external memory support, there is plenty of space to store all your photos and videos. 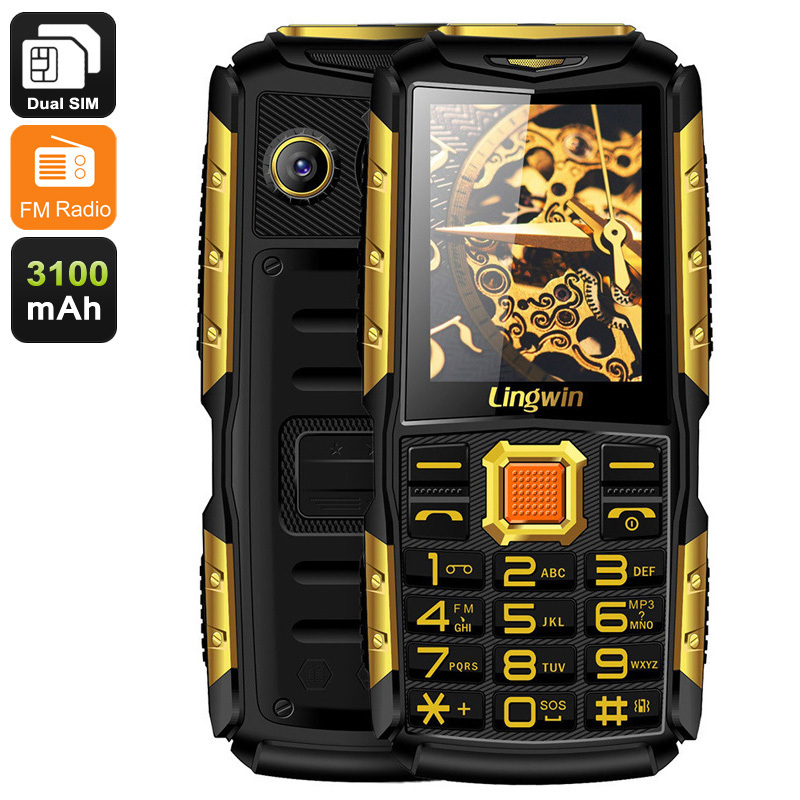 The Lingwin N2 cell phone comes with a 12 months warranty, brought to you by the leader in electronic devices as well as wholesale mobile phones..